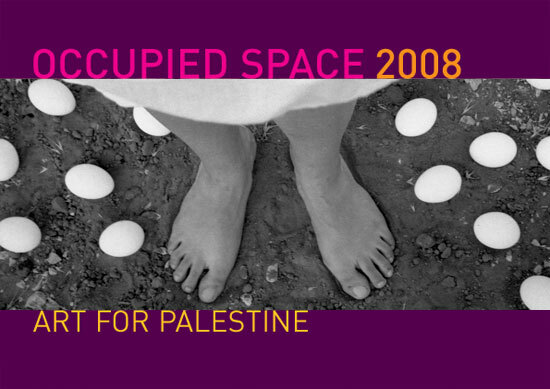 artists from Palestine, the Arab world, China and the UK, organised by the UK Palestine Solidarity Campaign (PSC) in association with the A.M. Qattan Foundation. Artists from outside Palestine generously donated their work to the exhibition. Proceeds from sales went to the artists in Palestine and to supporting PSC's campaigns in the UK. The exhibition was sponsored by The Galilee Foundation, HBK Investments, Mena Capital and Rana Sadik Younis and other private sponsors. Works not sold during the exhibition are still available to purchase directly through PSC. Please email art@palestinecampaign.org for information.